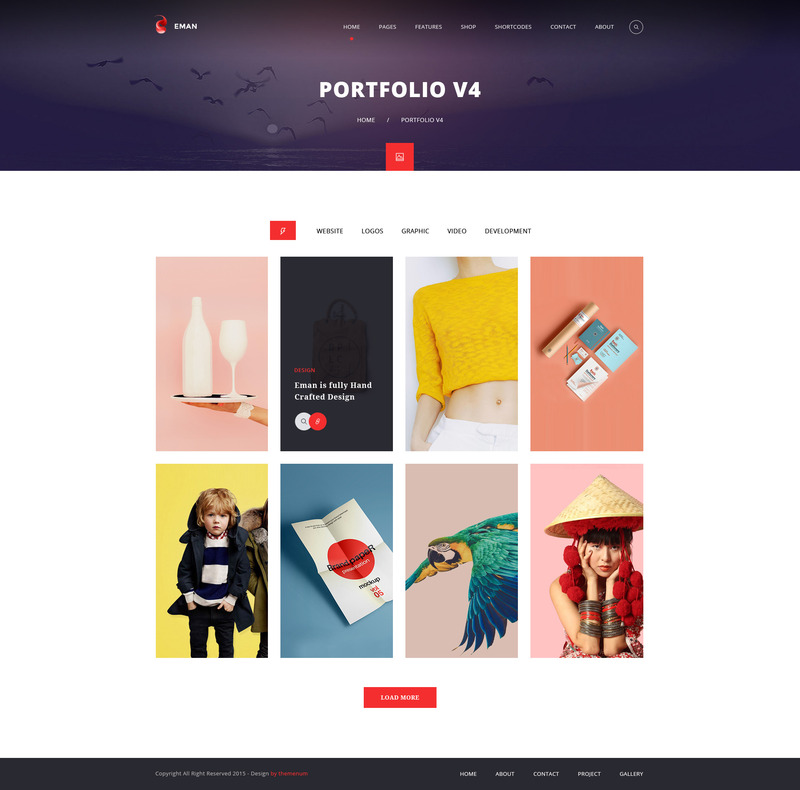 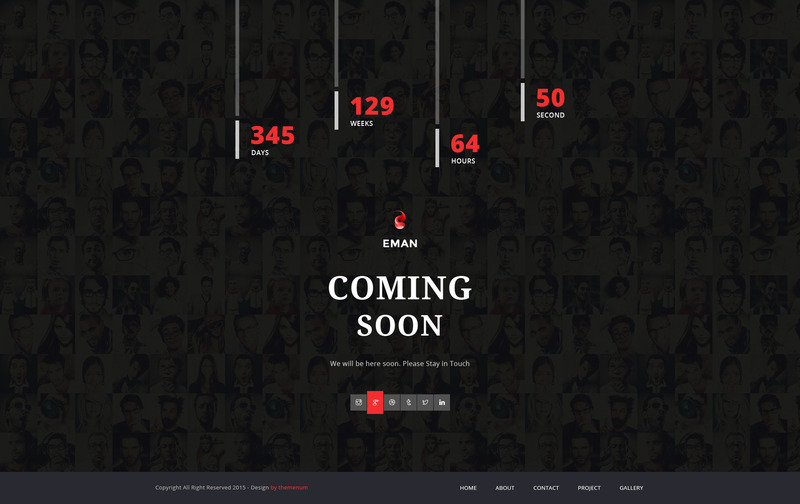 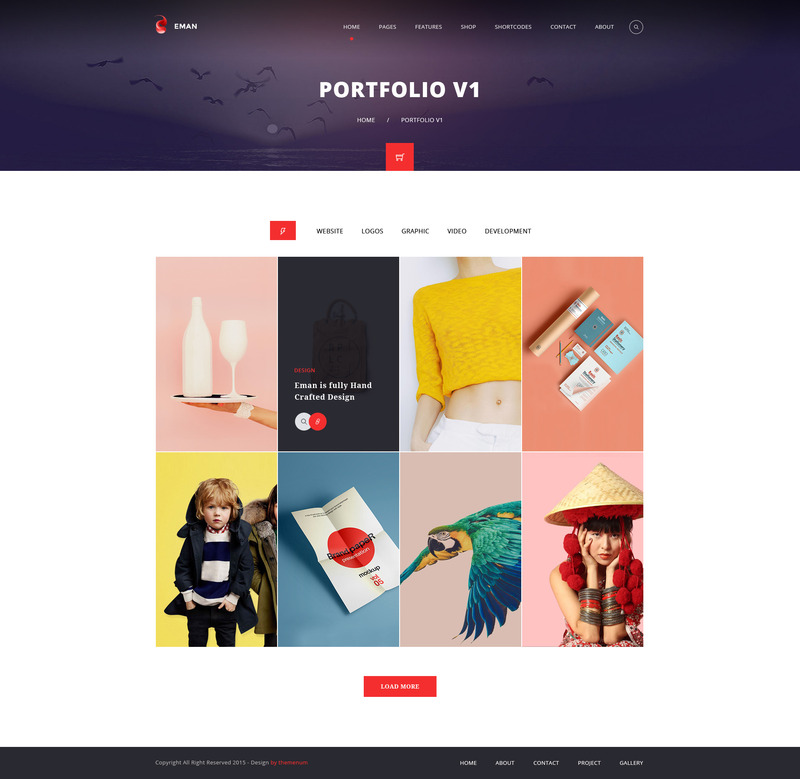 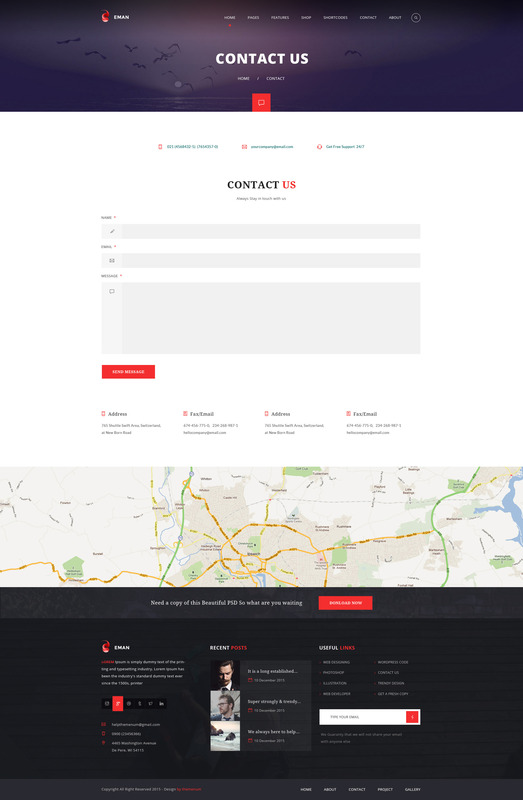 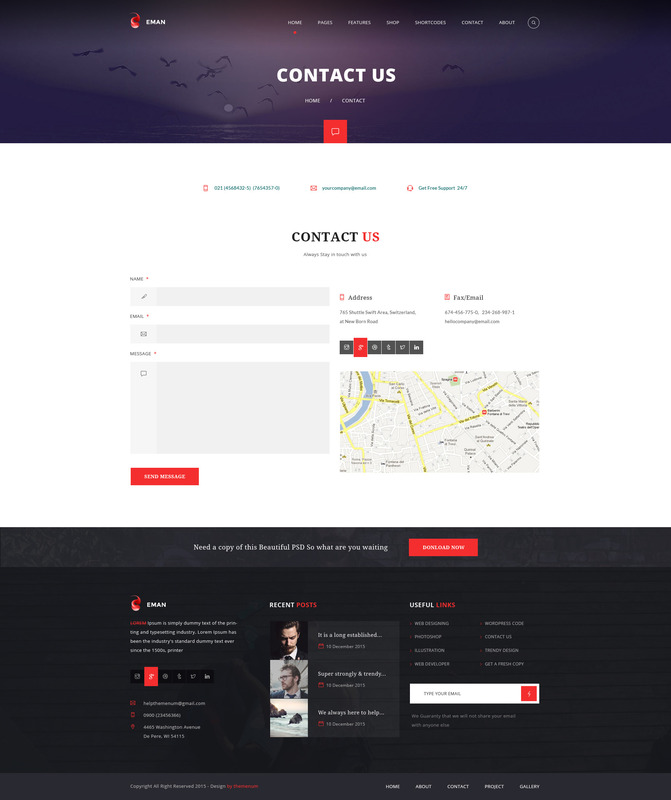 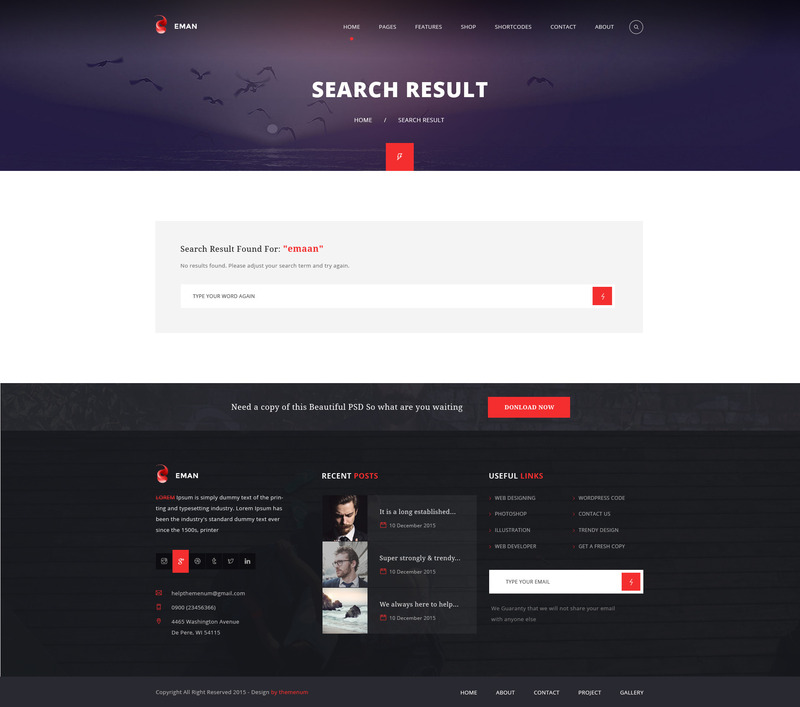 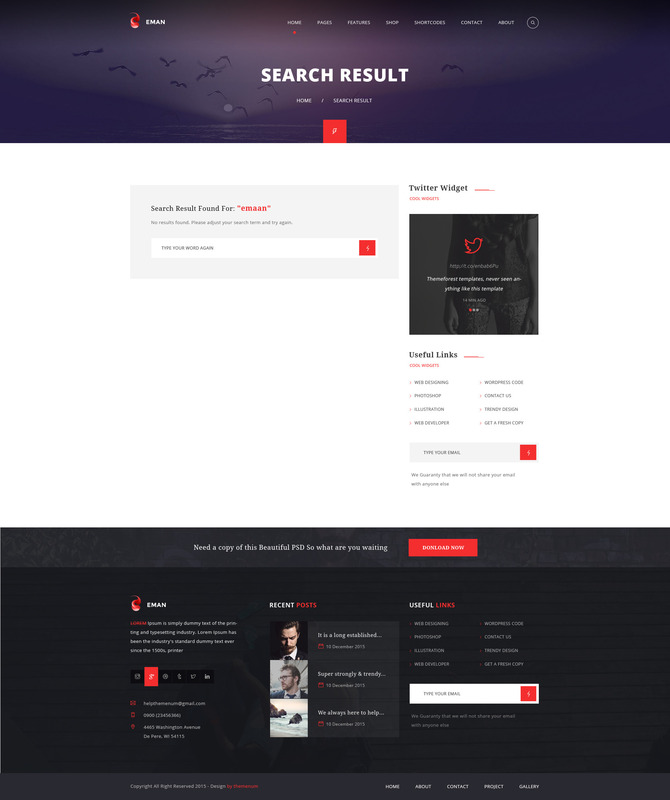 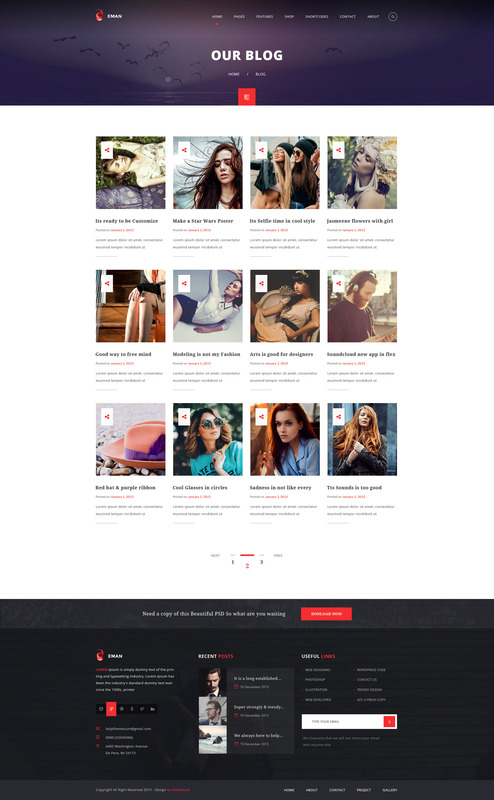 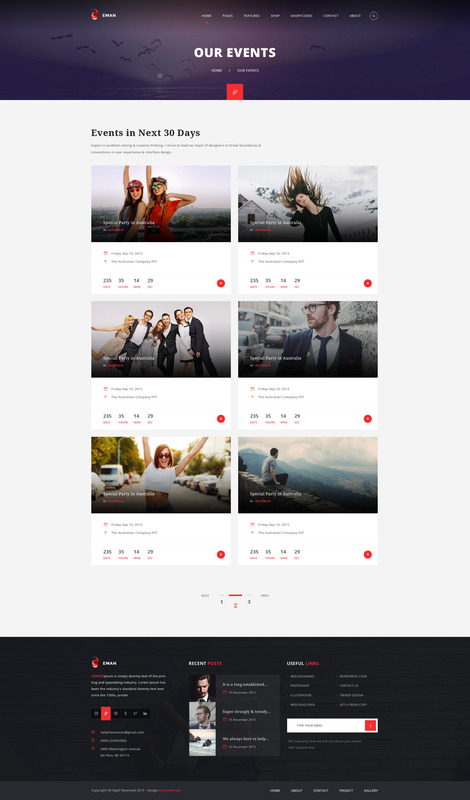 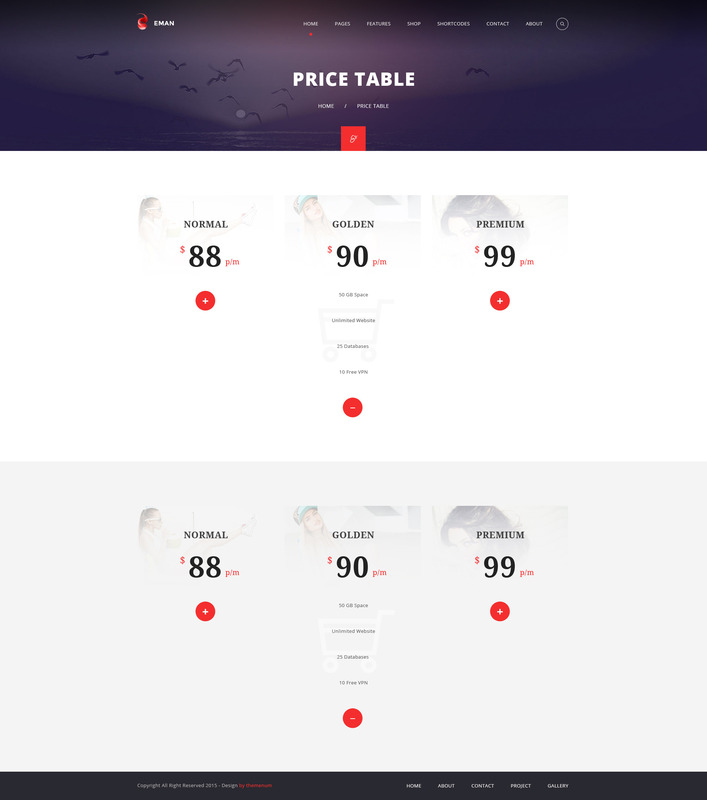 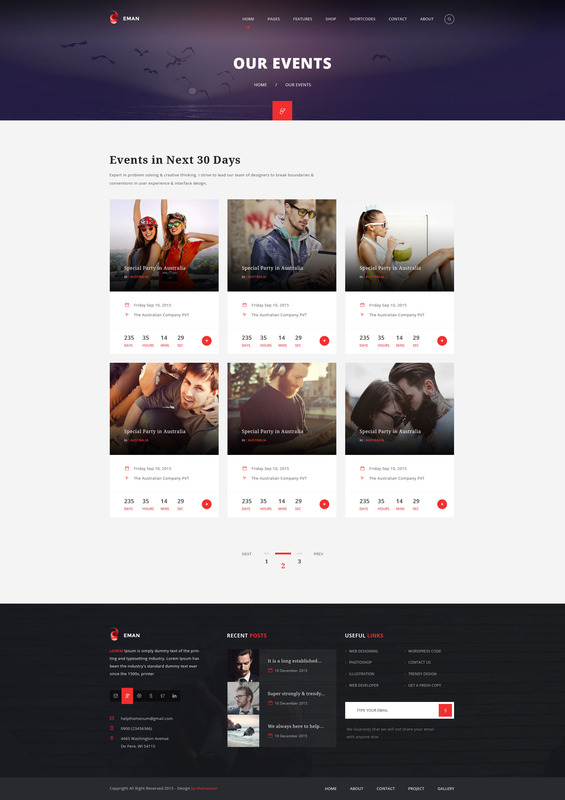 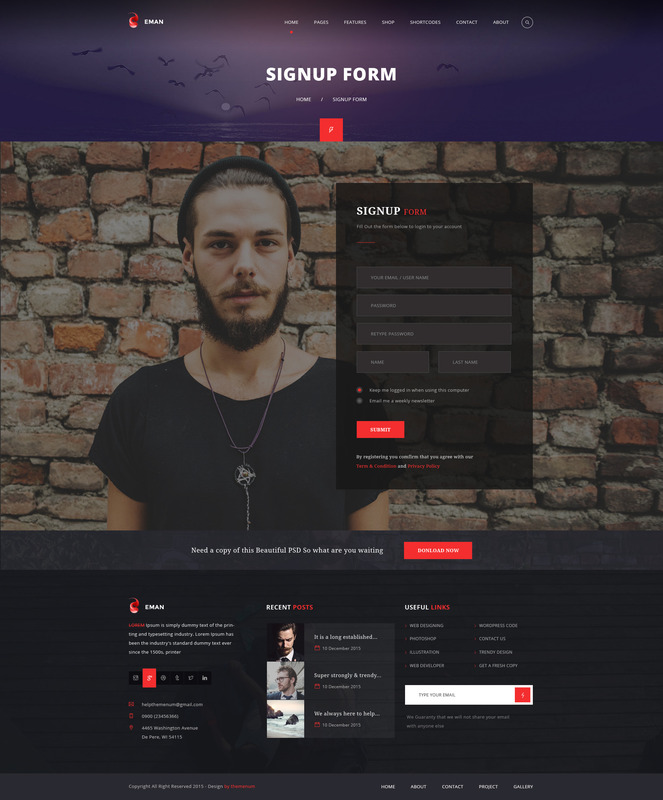 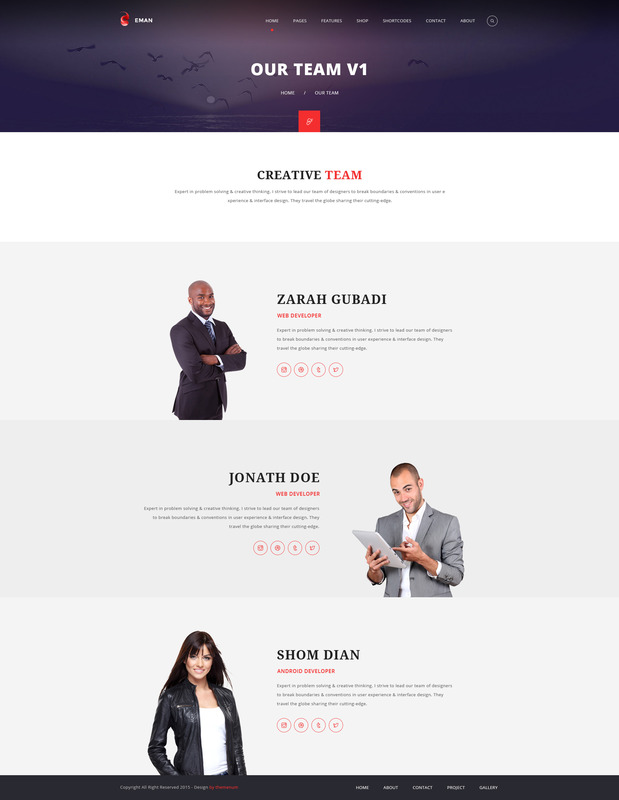 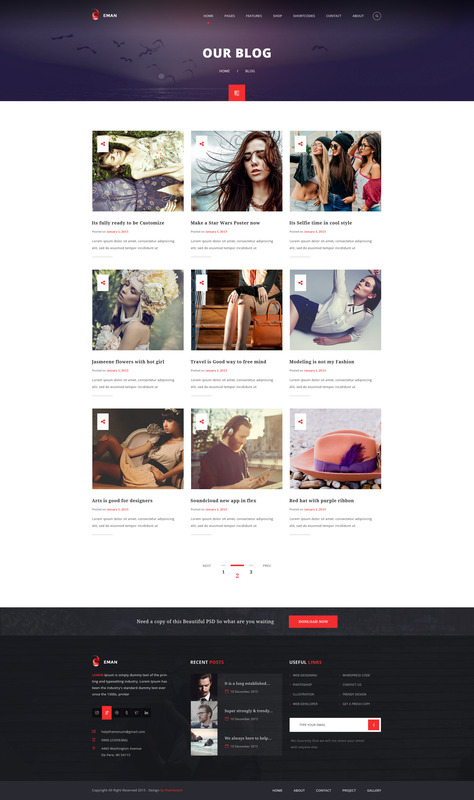 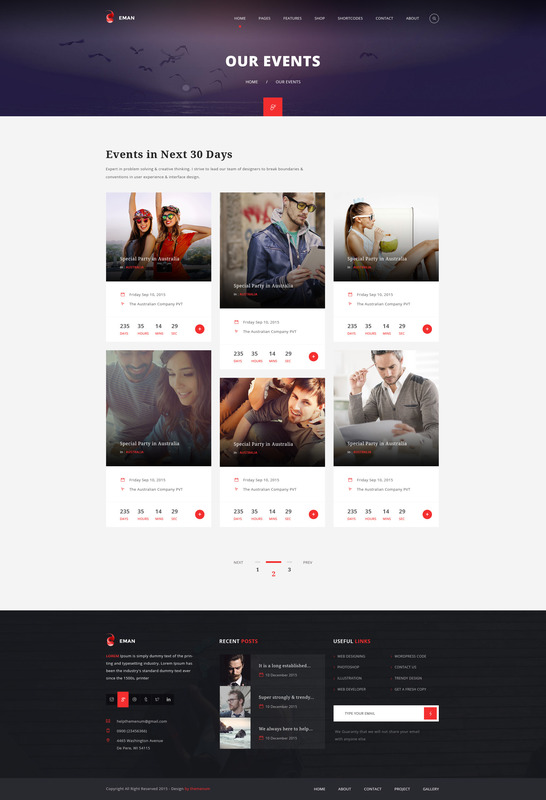 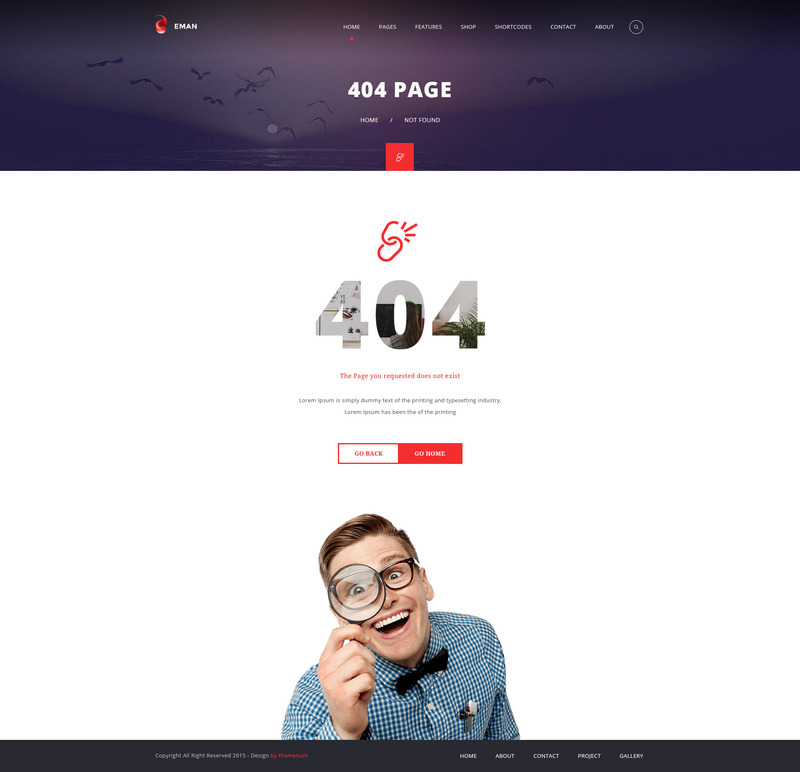 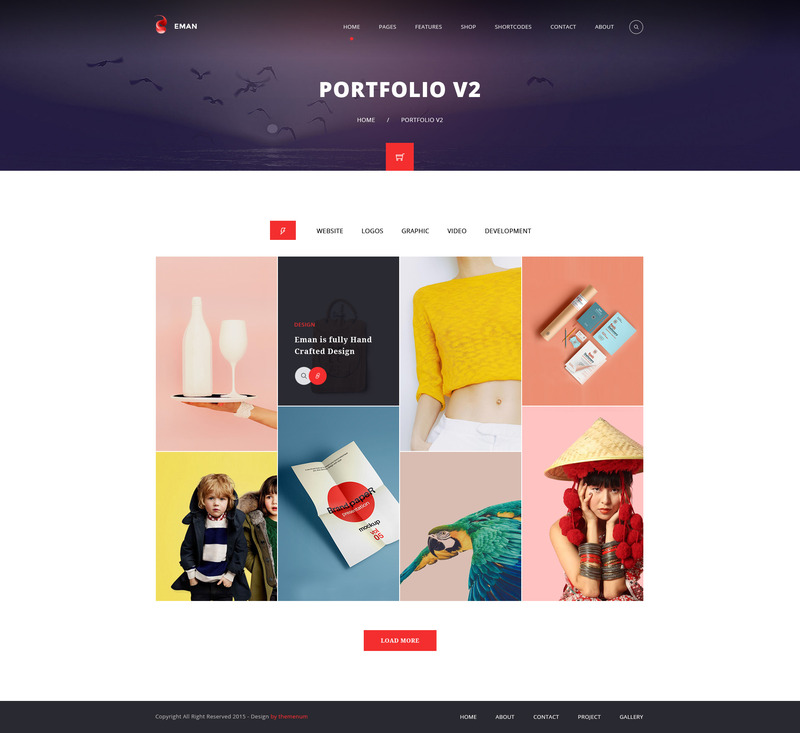 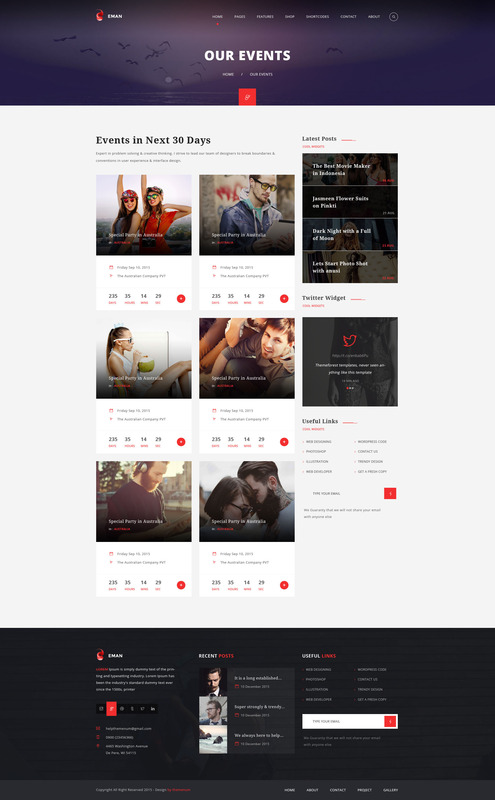 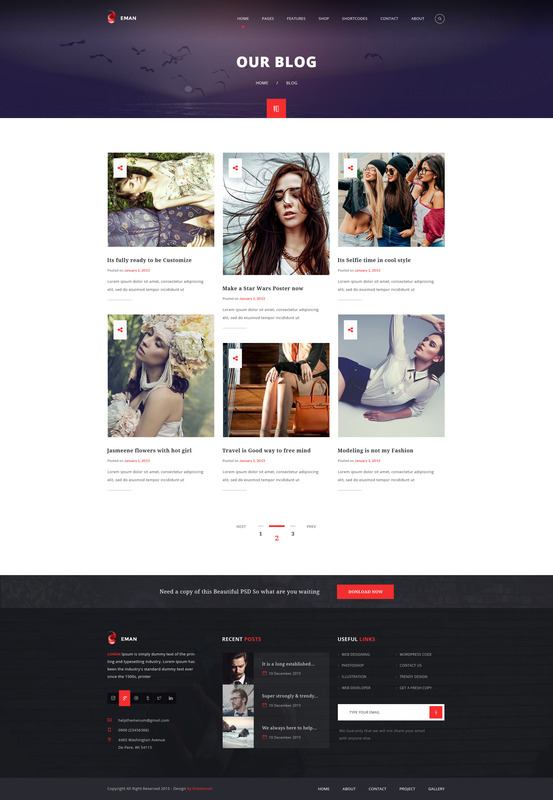 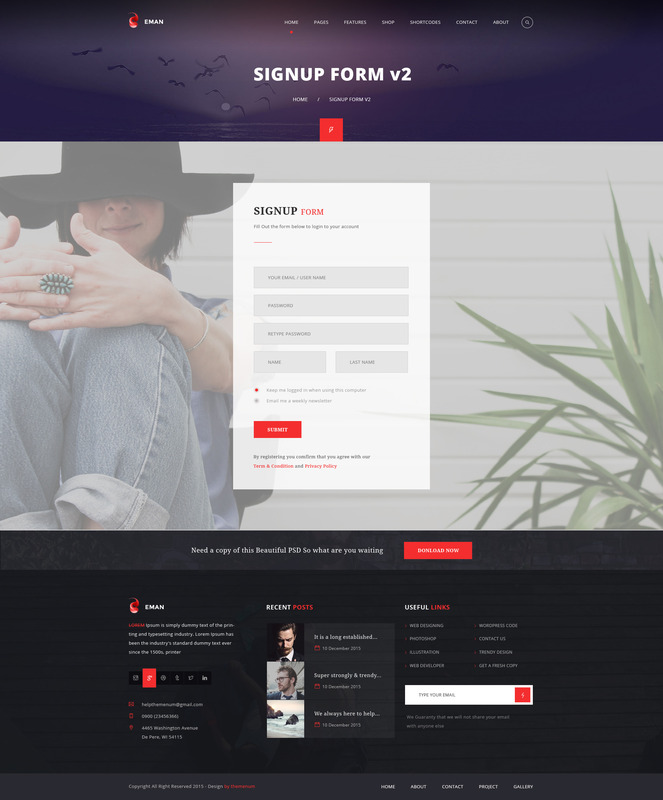 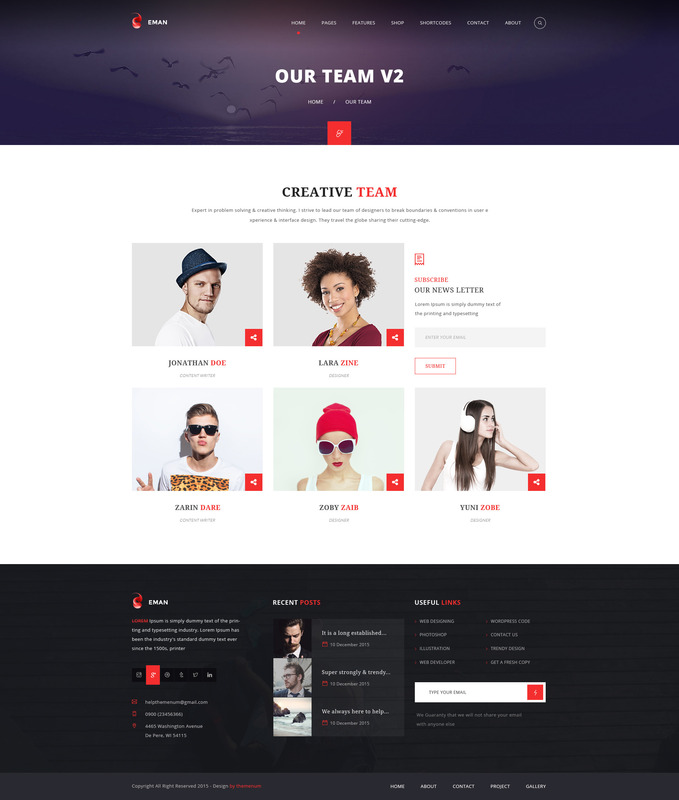 Eman is a creative multipurpose PSD template consisting of 42 well managed PSD files. 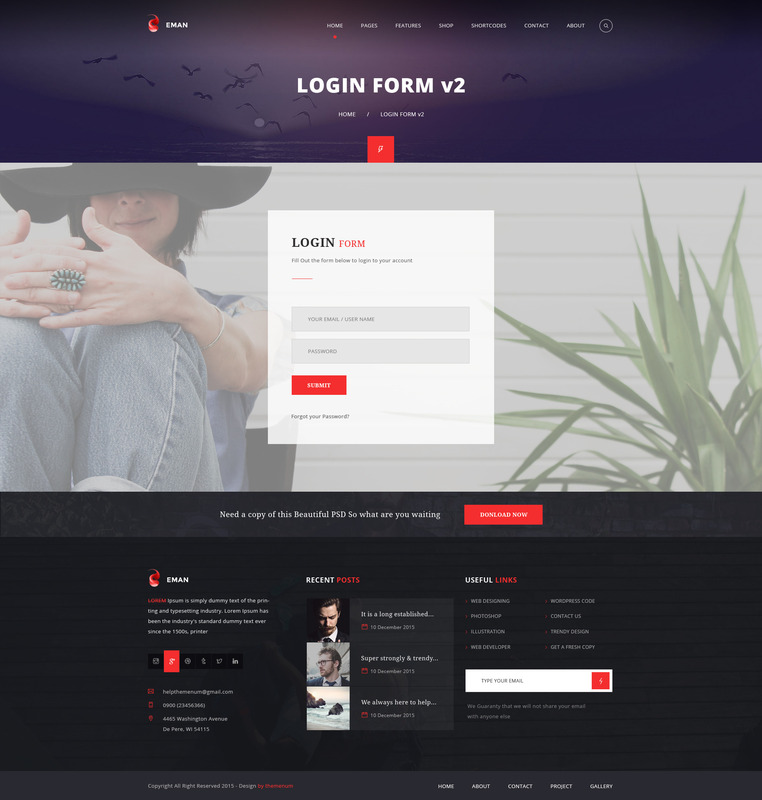 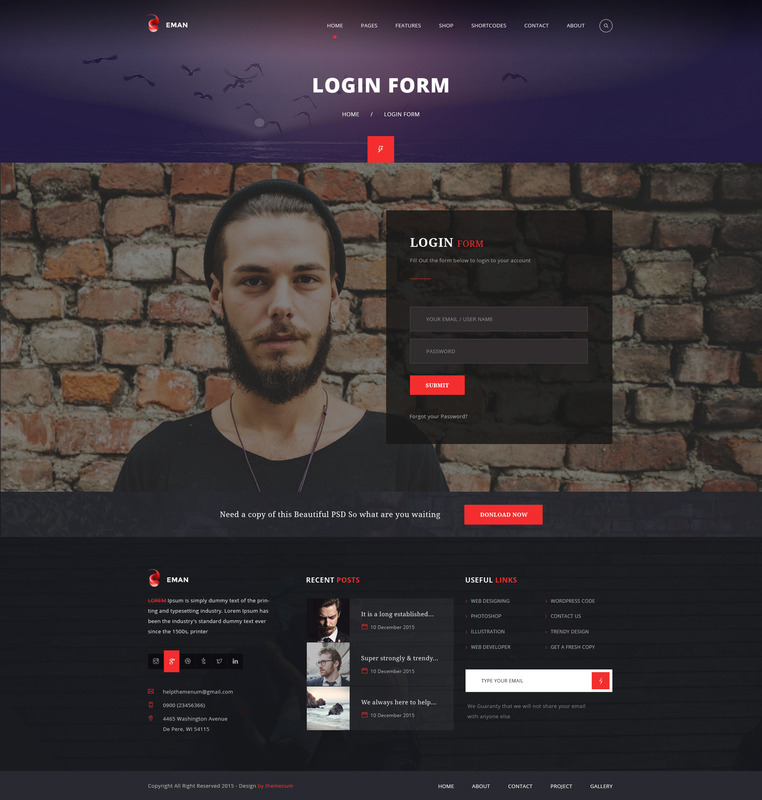 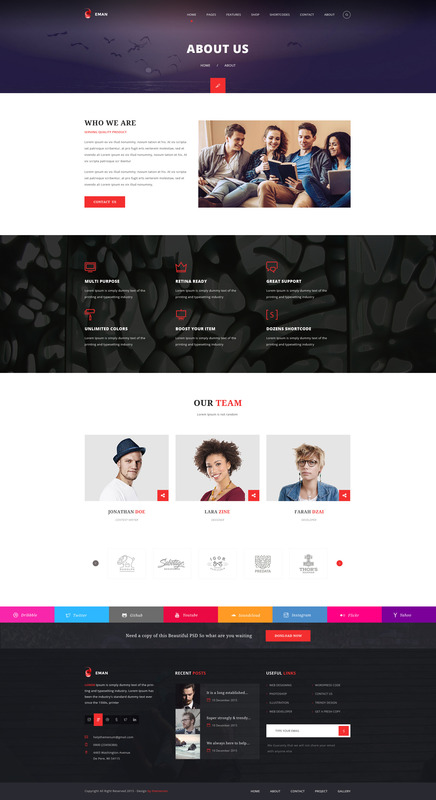 The design is totally unique and eyecatching which attract the attention of the user. 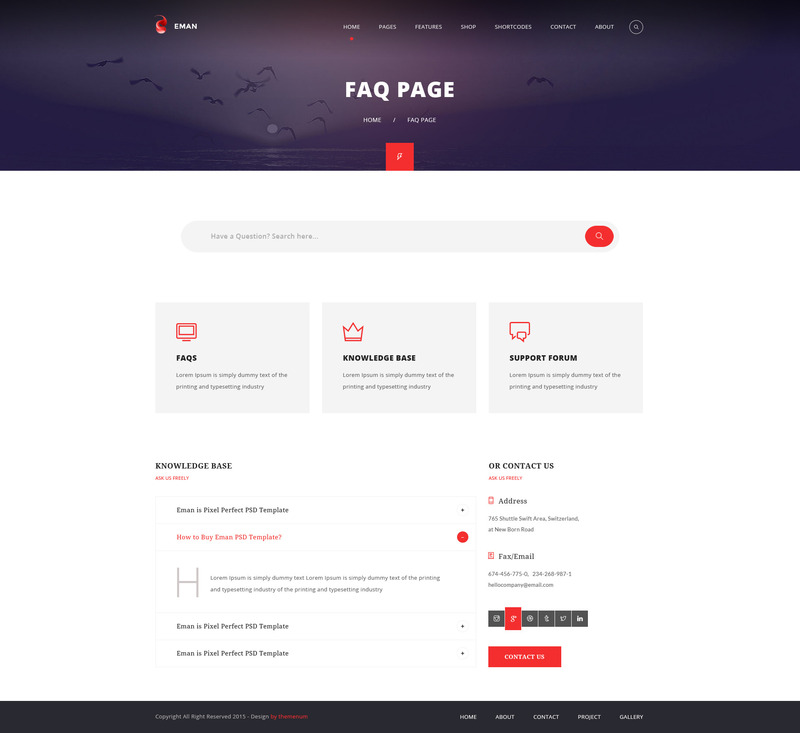 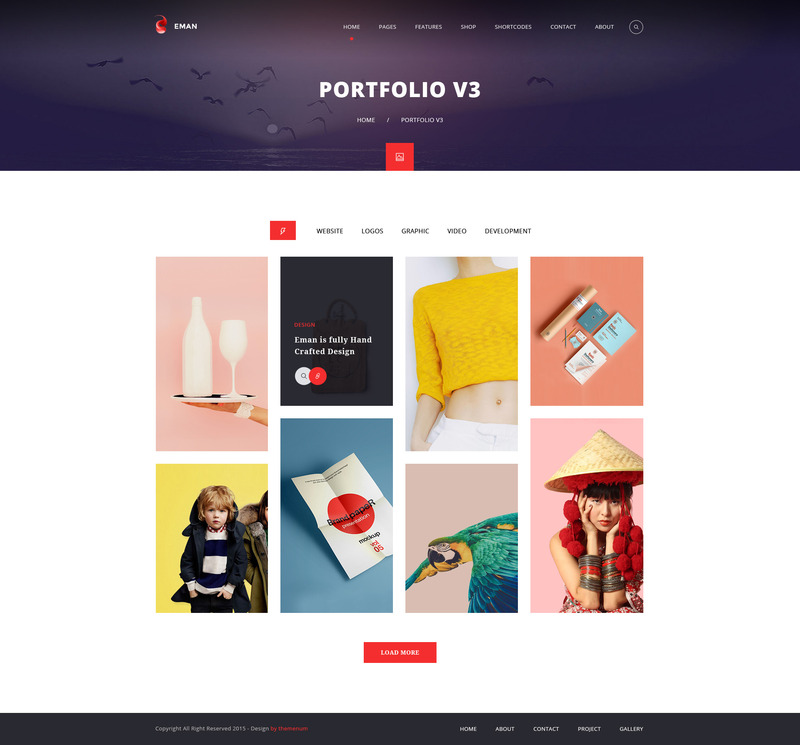 Eman has a wide range of options as it has 6 homepage style which are unqiue and equipped with a combination of traditional and new features and qulaity design. 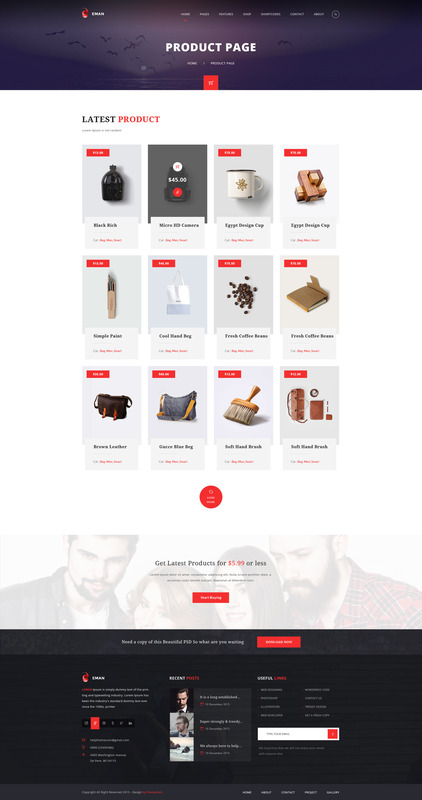 The Woo commerce pages are designed perfectly for any shop website and the 3 Blog layouts 4 Events layout and 2 single post styles, these are some of the features which makes this item extra ordinary and out class in the market. 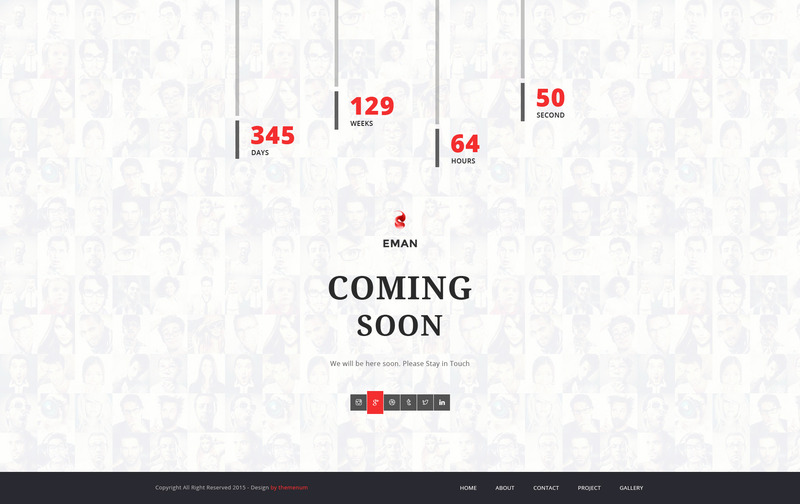 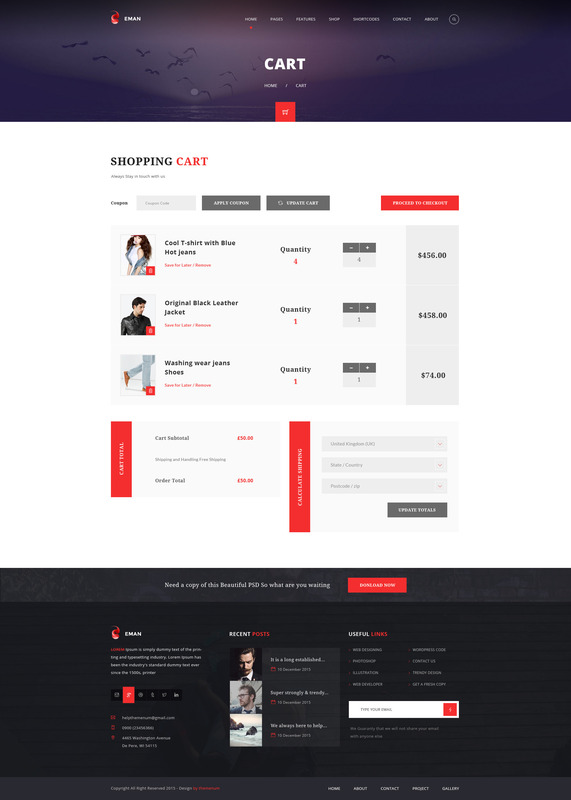 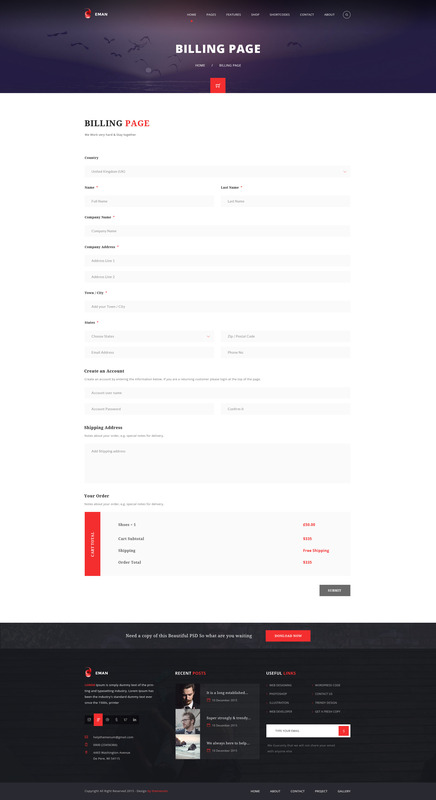 You also get 2 Comming soon page styles with Eman which enhance the usability of this item. 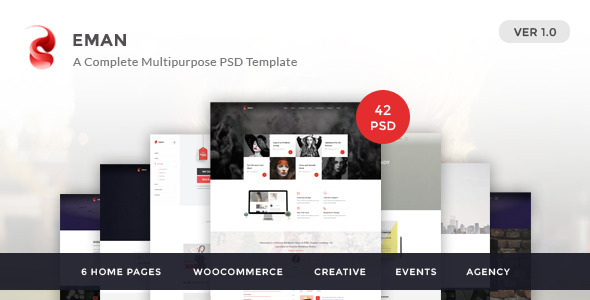 Get the PSD now and make your life easy.